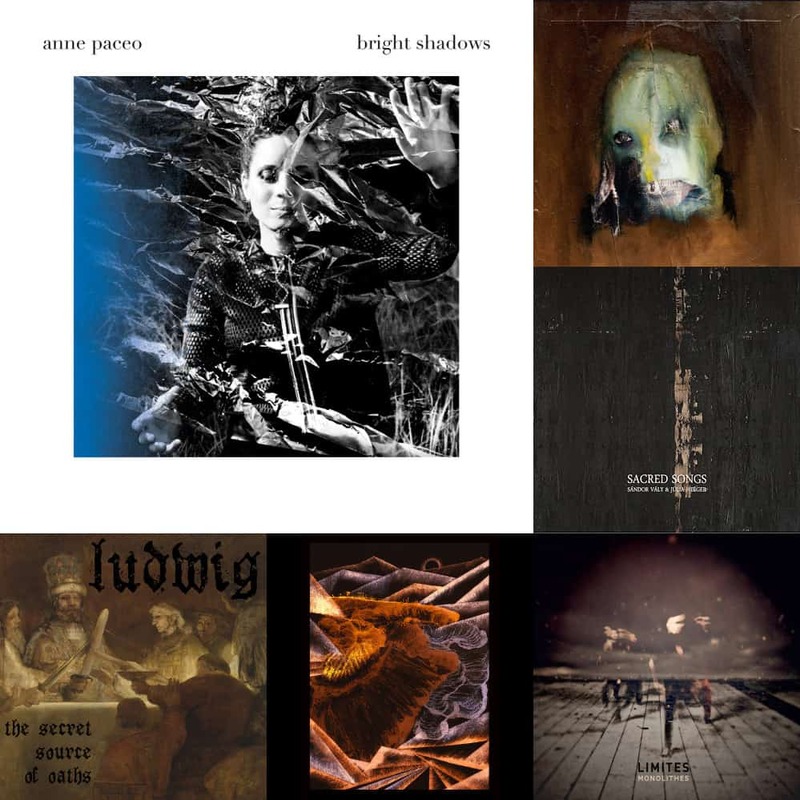 French drummer and composer Anne Paceo releaser her latest collection of compositions in late January. Bright Shadows is a marvellous work blending modern jazz, R&B, and pop music into a delectable product. With Ann Shirley and Florent Mateo on vocal duties, the songs are in good care, and indeed the melodies presented are poignant and memorable. Similarly, the saxophone and clarinet, guitar, and keyboards are all just right, in their own way. Finally, the drums evidently serve well the compositions, and often shine through by originality and precision. However, they are not the centrepiece of the album; they are a solid foundation. So, Bright Shadows is a great album; it’s fun, well written, and brilliantly executed. Black to Comm is an intriguing beast. The solo project of Marc Richter treads the line between contemporary classical and experimental electronic music in a way I haven’t heard done before. Seven Horses for Seven Kings is deranging and hard to pin down. The first moments of the album recall, and indeed use classical music instrumentation—whether it be by sampling or live recording—albeit digitally altered, while some later tracks appear as more focused on electronic sounds or other things entirely. The whole hourlong effort is perplexing in many ways, but enjoyable in many more. Hungarian musicians Sándor Valy and Júlia Heéger join forces on Sacred Songs, a reimagining of Medieval-era compositions in contemporary classical and electronic drone setting. The first feature that struck me is the age of the pieces: Hildegard Von Bingen having lived from 1098 to 1179, in Germany. She lived as a nun and was later canonized as a saint. The modern treatment of her works is truly exquisite, as you can hear with the provided excerpt for “O vis æternitatis”. Droning synths, feedback noises, huge ambient swells, and the crystalline soprano voice of Júlia piercing through… It’s quite surreal and beautiful. Free rock! Yes! I always love to listen to such fantastically conducted—in that case, anarchically so—pieces; especially when they are out of the usual setting for totally improvised music: free jazz. Moreover, the improvisers in Ludwig relied quite heavily on procedural composition. Indeed, while the guitar and bass performances were improvised, the drums and synthesizers have been generated with a MIDI randomizer program, which is a genius and crazy idea! Each track has a different approach to the creation process—all listed in the liner notes—and it’s very, very interesting! From Belgium comes Mòs Ensemble, an experimental jazz septet, led by double bassist Kobe Boon. Featuring two singers and two woodwind players on top of the core jazz combo, which gives full body to the band’s sound and ambitions. On Limbs, Kobe fuses many elements from across the board into one entity, and it’s successful on all fronts. The more tranquil and atmospheric tracks are thick and dense, while the more rocky parts reach climaxes complex and energetic. One good song to preview would be “Kakkerlakje”, for its length and breadth. I’m sure you’ll be sold. I found French Monolithes while trying out a new discovery program I made. While tedious and quite clumsy, it leads to some fantastic discoveries such as this one, so I’m more than willing to make the effort again. Limites is the band’s sophomore release, and it features a rare sight: the vibraphone! Last I remember it being this present was in The Kraken Quartet and Oni (although quite distortedly so). On top of that, Monolithes play an almost Zappaesque, mathematically proficient, and highly rhythmic progressive rock infused with jazz. It’s incomprehensible that the album sold no (!) copy to date on Bandcamp, because it’s quite the banger! On	February 13 2019, this entry was posted.